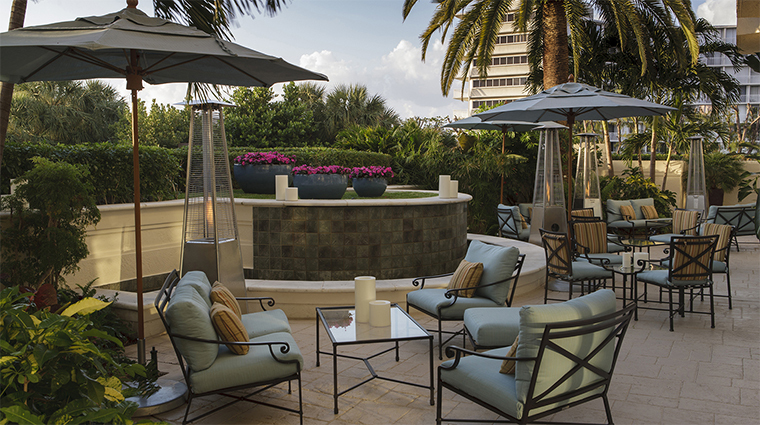 Four Seasons Resort Palm Beach unites the best of Palm Beach in one spot. 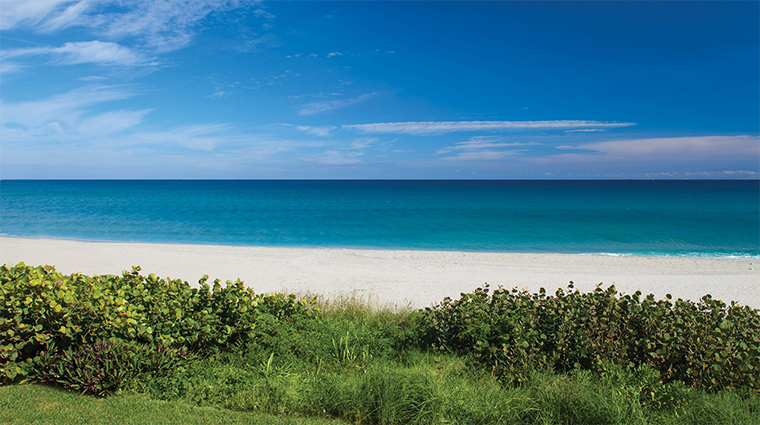 Just minutes from the alluring boutiques of Worth Avenue and the challenges of three championship golf courses, Four Seasons Resort Palm Beach is set on a secluded stretch of golden sand. 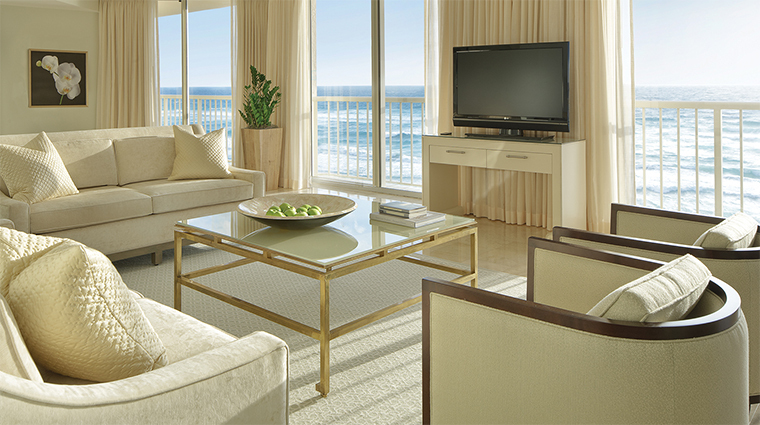 The guest rooms have a sophisticated tropical décor, with floral prints, pastel colors and casually elegant furnishings. 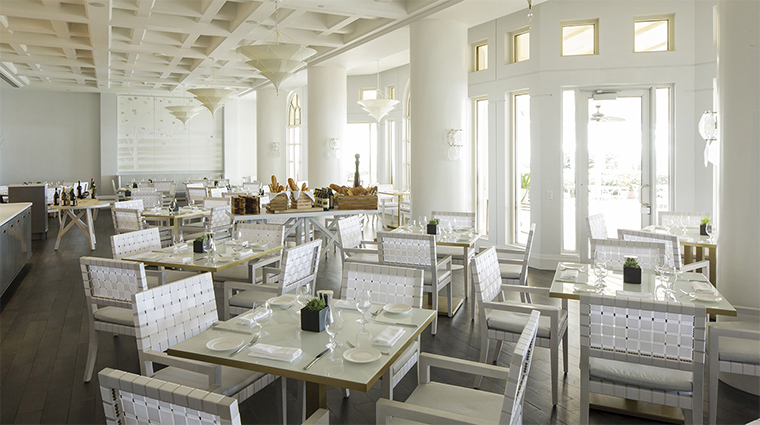 Southeastern regional dishes are the specialty at the restaurant, while the patio setting of the Atlantic Bar & Grill and the canopied terrace of the Ocean Bistro are perfect for casual meals and tropical drinks. A small spa and well-equipped fitness center round out the experience. 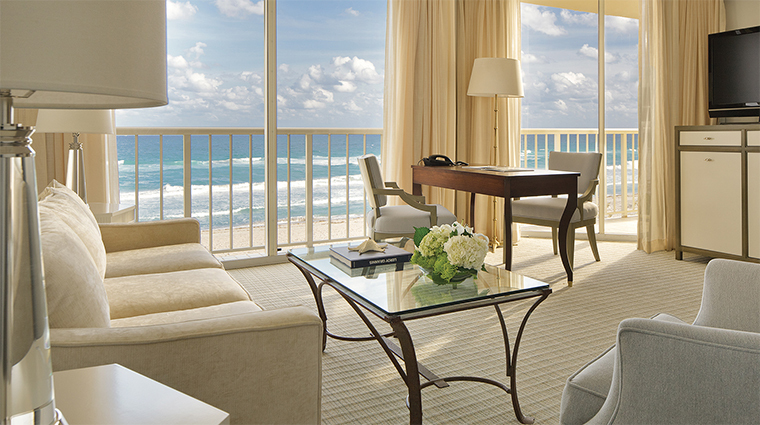 Four Seasons Resort Palm Beach isn’t just a Five-Star hotel near the beach; it’s on the sand, steps from the Atlantic Ocean. The staff of this Five-Star Florida resort are exceptionally helpful and are always ready to serve you delicious frozen fruit or offer complimentary sun protection whether you’re lounging by the pool or lying on the beach. 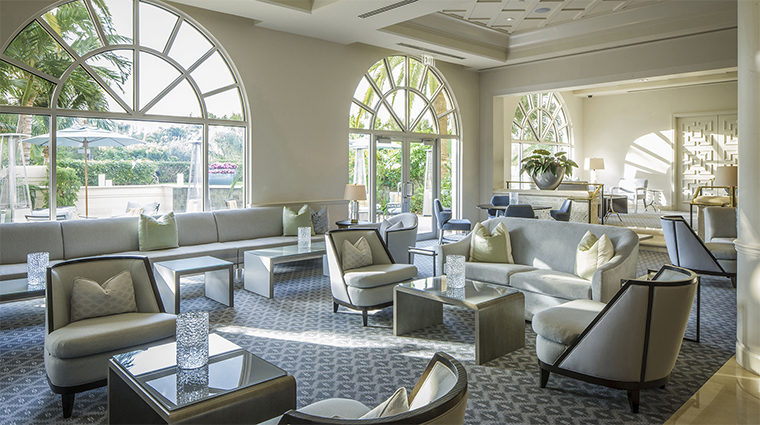 The design style of this Palm Beach hotel is elegantly traditional, making you feel as though you’re staying in a fabulous oceanfront home. This property is more than just a hotel; it’s a resort that offers endless activities including deep-sea fishing and sailing as well as yoga classes and a full program for the little ones. Though you can easily leave the property, you won’t feel the need. Don’t worry about waking up in the middle of the night craving a burger. With 24-hour room service at the Forbes Travel Guide Five-Star hotel, there’s a fix for even those 3 a.m. snack attacks. 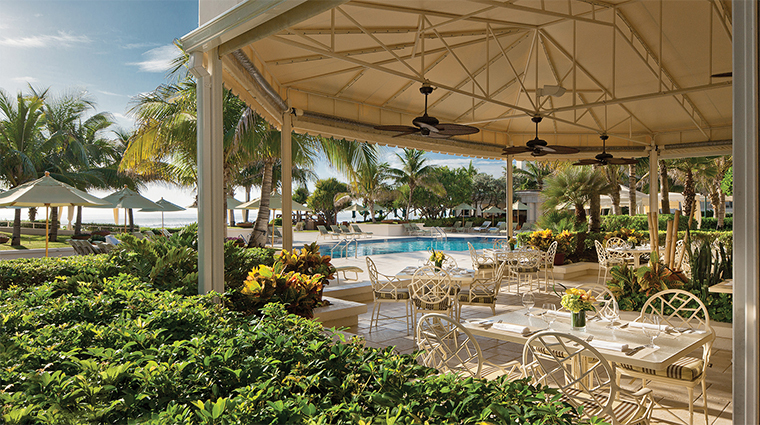 Surrounded by palm trees and lush gardens, the pool is definitely one of the best parts of this resort. For an extra indulgence, spa staff offers heavenly massages for your poolside pleasure. A full program of daytime activities for the kids means you can do your own thing and still be assured that they’ll be in good hands and far from bored. The luxury resort also features a 6,000 square foot gym as well as certified trainers available for personal training sessions in addition to Pilates, yoga and tai chi classes. 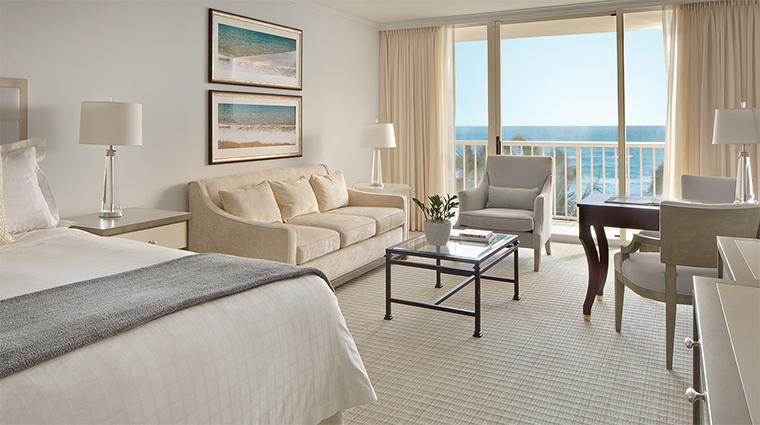 The rooms at Four Seasons Resort Palm Beach are beachy and elegant at the same time, featuring a sandy color palette that perfectly complements the traditional furniture and sea-glass colored fabrics that accent the white duvet cover found on the plush beds. Standard rooms, such as the moderate, garden view, partial ocean view, ocean view and premium ocean view rooms are cozy, spacious and topped off with a balcony. 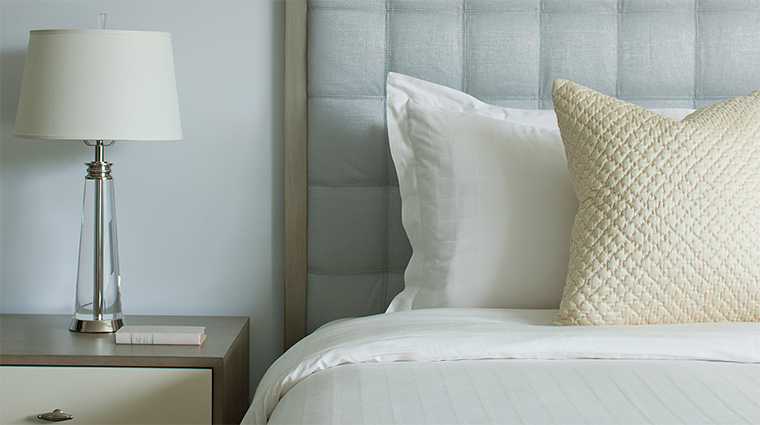 Beds at this Five-Star hotel are decked out with all the luxuries you’d expect: The pillow-top mattress comes covered with crisp white linens by Prestige Home Textiles and thick down pillows are so enticing, you’ll want to jump right into bed and cozy up. 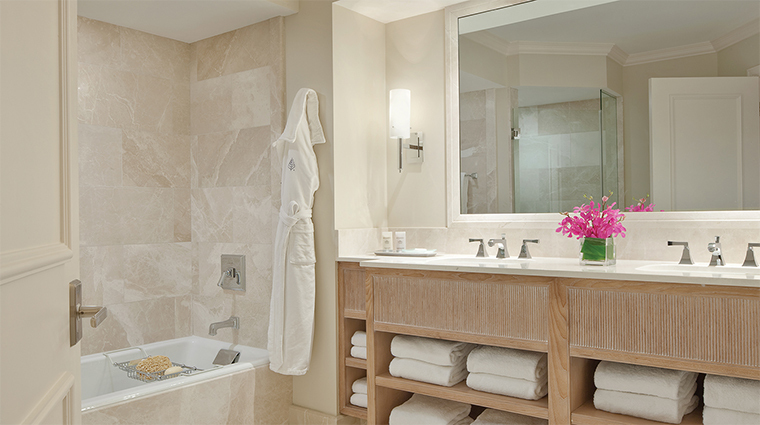 Each room at Four Seasons Resort Palm Beach boasts a mosaic marble-tiled bathroom with a large vanity area complete with fresh flowers and L’Occitane bath products. 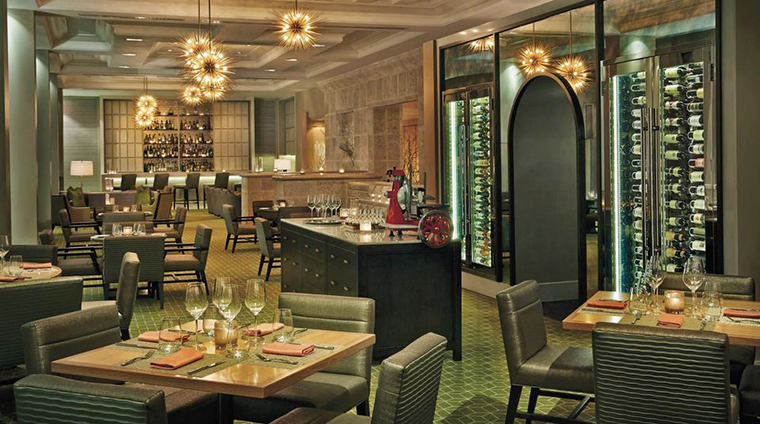 For breakfast at this Five-Star Florida resort, head straight for Graze. Whether you’re hungry for a light bite such as a fruit plate or a yogurt parfait, or something more substantial such as eggs Benedict or blueberry coffee cake French toast, you’ll find the menu quite pleasing. Graze also offers a delightful buffet brunch on Sundays with endless mimosas and a bloody mary bar featuring a carving station, Chef’s chirashi station, fresh fruit, raw bar and an artisan cheese and charcuterie display. 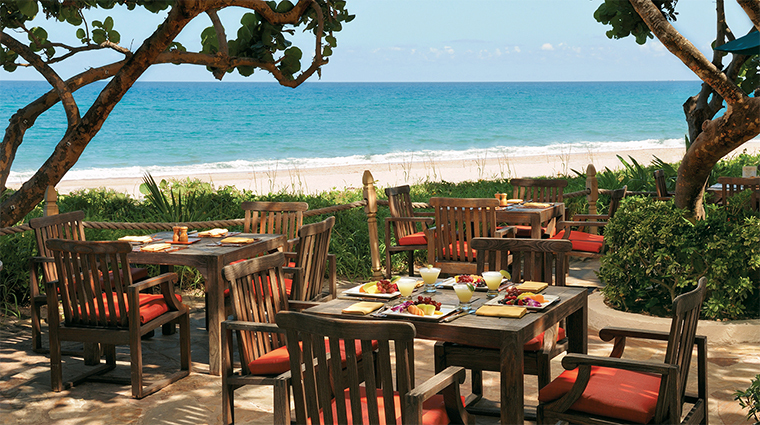 For lunch, sit oceanfront at the AB&G and enjoy beach food from around the world, such as ahi tuna and Atlantic salmon chirasi from Southeast Asia, pescado tacos inspired by Mexico, or lamb keftedes sandwich, reminiscent of the Middle East. In the bar and lounge, the staff showcases the art of mixology and the theatre of cocktail making with an eclectic collection of premium vermouths, grappas and artisan liqueurs.